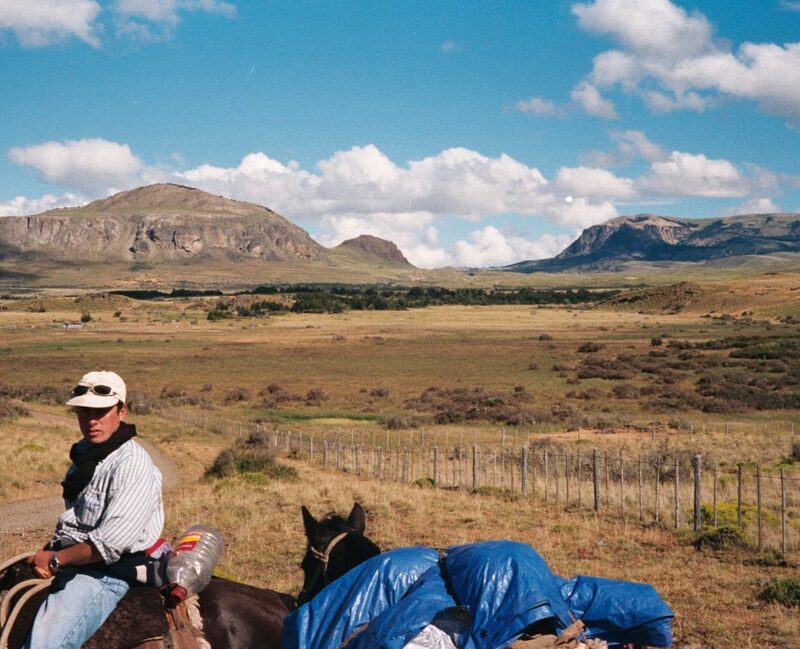 Friend of Swoop Jon Burrough travelled on horseback down the Patagonian frontier between Chile and Argentina. 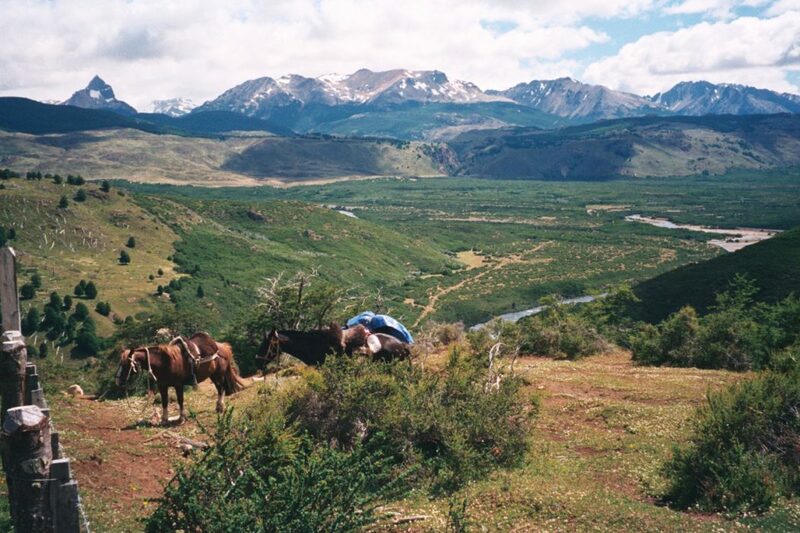 His fascinating book Dark Horses at the Patagonian Frontier: Riding the Pioneer Trail (Signal Books) gives an account of that journey. In this article he introduces us to the landscapes he crossed, the people he met along the way and the issues that concern them. My interest and involvement in South America go back a long way. Drawn by its people, its music and the infinite variety of its geography, I travelled extensively to every corner on a shoestring between 1969 and 1973, including several visits to Patagonia. 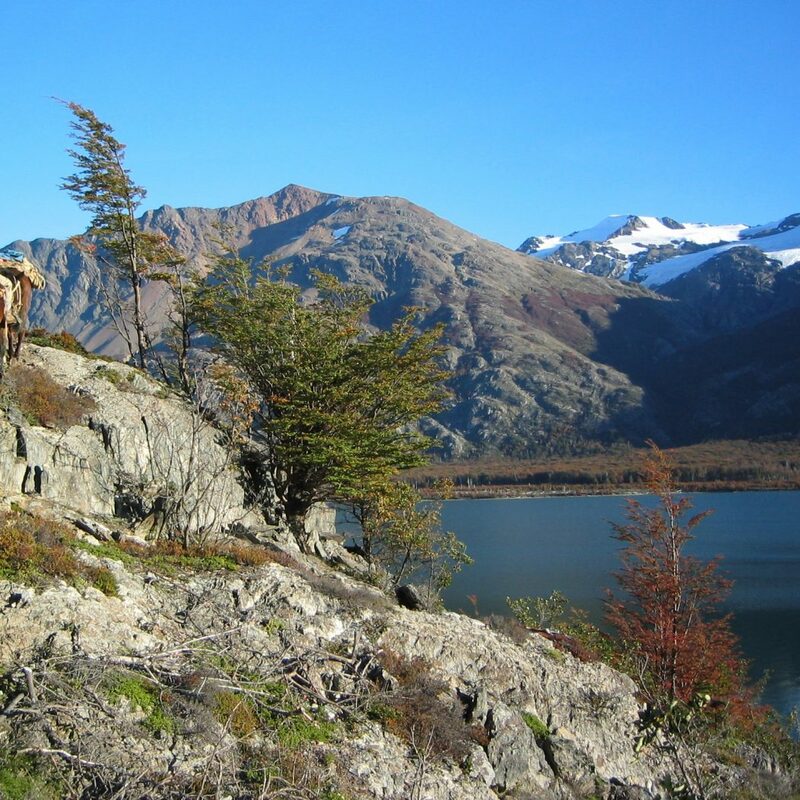 I was fascinated by Patagonia and ate quantities of berries from the Calafate bush, which, according to local legend would ensure my return, although no one told me the effect could take up to 34 years to work! By the time retirement presented the opportunity for unlocking dreams, I was 63, reasonably fit, but reluctant to embark on a long journey through remote and difficult terrain on foot and alone. I had had some experience of the pleasures of riding ‘western style’ with one hand and two knees, which, with preparation, I felt could be revisited. 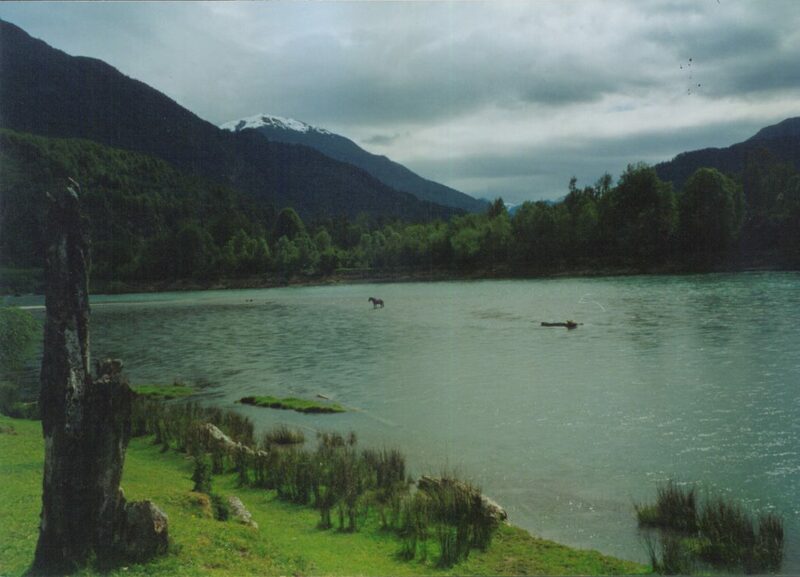 Ultimately, the bare detail of my journey was to ride some 1,500 km down the frontier between Chile and Argentina with a guide, avoiding roads and visiting as many national reserves as possible, starting at one frontier town – Futaleufu – and continuing south in five stages to another – Villa O’Higgins. Each stage was to last between 8 and 14 days. There were to be many demoralising moments as I prepared myself for a re-entry to an equestrian world after some 50 years’ absence, but in due course my young Chilean guide, Hector Soto, and I, plus our three horses set out on the first stage. It was at the end of this stage, in the small town of Lago Verde, that I discovered I had cancer and came back to the UK for surgery. One year later, Hector and I returned to Lago Verde to resume where we had left off with three new horses, and 43 days and 4 stages later, we shared one supreme moment as we passed a sign reading Villa O’Higgins. The frontier, which runs down the Cordillera and through the middle of a number of large lakes, was fixed by British arbitration in 1902, but the nature of the land divided is entirely different. On the Argentine side, the land is generally flat, dry and stony, broken by frequent deep trenches, and trees are a rarity. 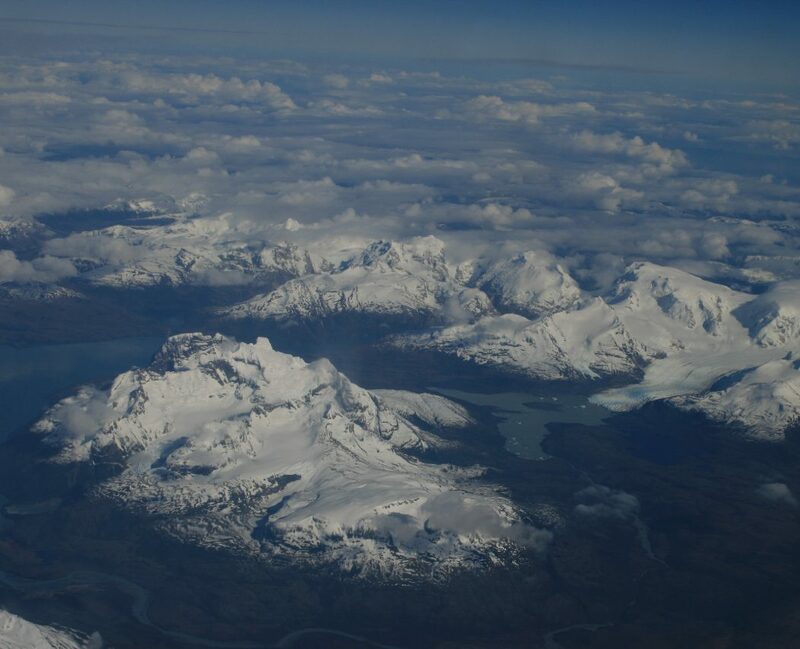 On the narrower Chilean side, the country is dominated by turbulent rivers, deep valleys, vast and varied forests which include tropical jungle in the north, snow-covered mountains rising haphazardly in every direction, and two huge icefields, the southernmost of which blocks the whole country. Because I had travelled up the Argentine side of the frontier some years ago, I chose this time to ride down the Chilean side. There were many constants: the fording of countless rivers, or when fortune favoured, the crossing of flimsy suspension bridges; the topping of innumerable ridges and the explosion of views far into the distance, each with its own unique mix of contours perspective and colours; the strength, agility, sheer willingness, courage and good nature of our horses; the traditions and protocol of Patagonian hospitality, which once offered, has no limit; and Hector’s good humoured energy, skills and respect for nature, to name but a few. There were also surprises and moments of real fear: rock and tree falls; unseen floating trees; quicksands and marshes; flash storms and violent gusts of wind, which on the many large lakes can produce huge waves, and where, once in the water, survival time is calculated in words rather than verses of Auld Lang Syne. 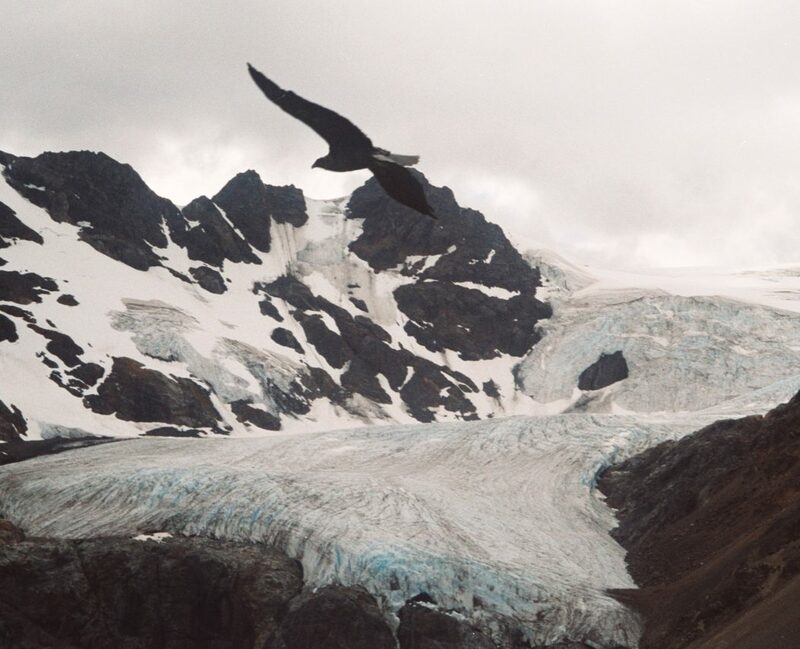 Patagonia has its own vocabulary and metaphors – ‘blue as a hare’s armpit’, ‘smooth as a worm’s gallop’ – and its own sounds and smells: the call of the two onomatopoeic birds, the Chucao and the Huet Huet is as evocative of Patagonia as the panpipes of Peru; the smell of forests after rainfall. Along the way I met people who had come to the region as colonists, employees or independent settlers – the latter, looking for land of their own. After the arbitration in 1902, the principal method employed by each country to develop their territory was through the sale of lease concessions. Huge areas were involved, and conditions attached requiring the introduction of settlers and the basic infrastructures for the future – roads, schools, etc. The system involved minimal cost or involvement by either government. Companies were formed specifically to develop the concessions. Several newly-arrived immigrants thus acquired millions of virgin hectares on both sides of the Cordillera. These compañías explotadoras were the frontline of development and effectively ‘trans-Patagonian’. The majority of the independent settlers were Chileans who crossed the Cordillera and came south on the Argentine side. They subscribed to whatever authority Argentina imposed and, whilst their instincts and identity remained Chilean, they absorbed the culture and customs of the trans-Patagonian gaucho. Once the boundary was resolved, many crossed back into Chile and settled in the gaps left between the concessions. 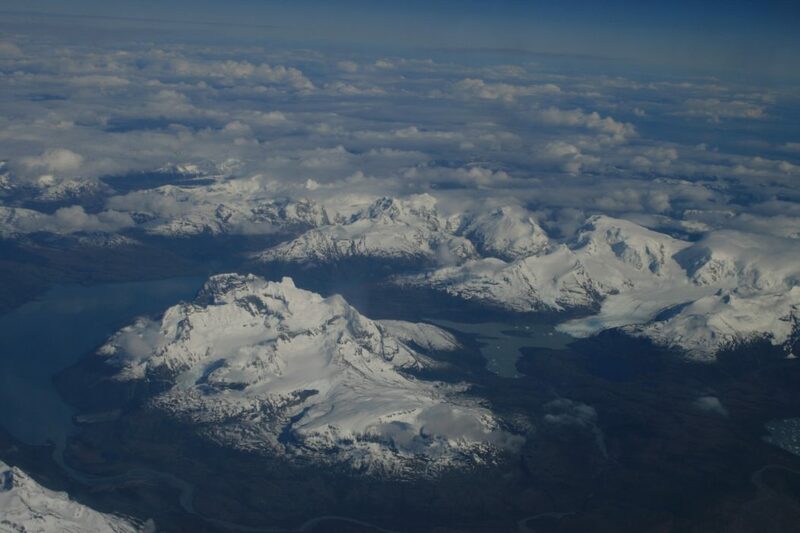 Britain and the British have been inextricably involved in the history of Patagonia. Apart from investment and technology, as arbitrators in the 1902 frontier dispute and subsequently through employees of the compañías explotadoras, large numbers of other Brits were amongst the first pioneers and explorers (on land and sea). 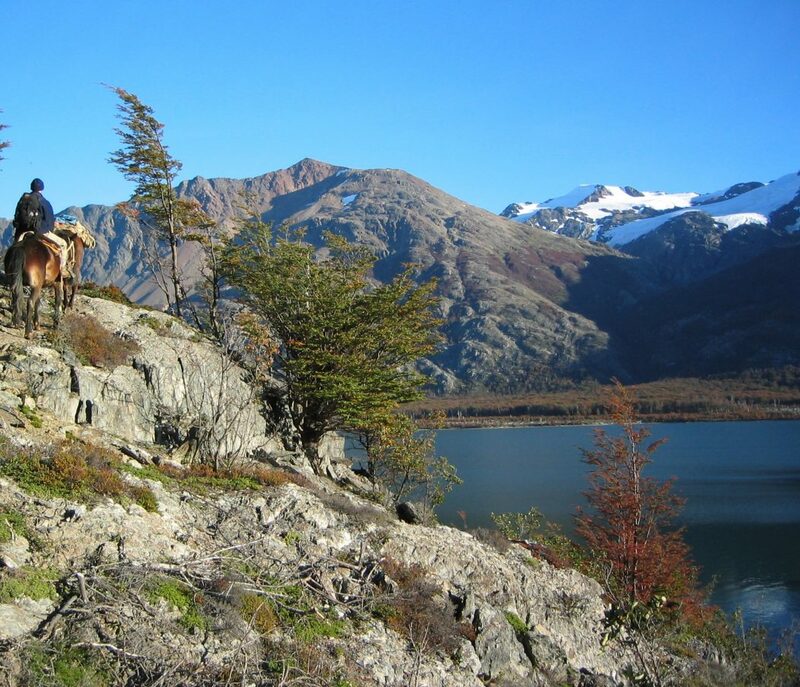 Whether initially as navigators, map makers or explorers, or later as shepherds, horse breakers or labourers, or as managers, accountants and administrators of the large land concessions, they made a very significant contribution to the development of Patagonia. Today, overstocking and the widespread destruction of trees (both officially encouraged at the time) have undermined the very assets upon which the pioneers continue to rely. 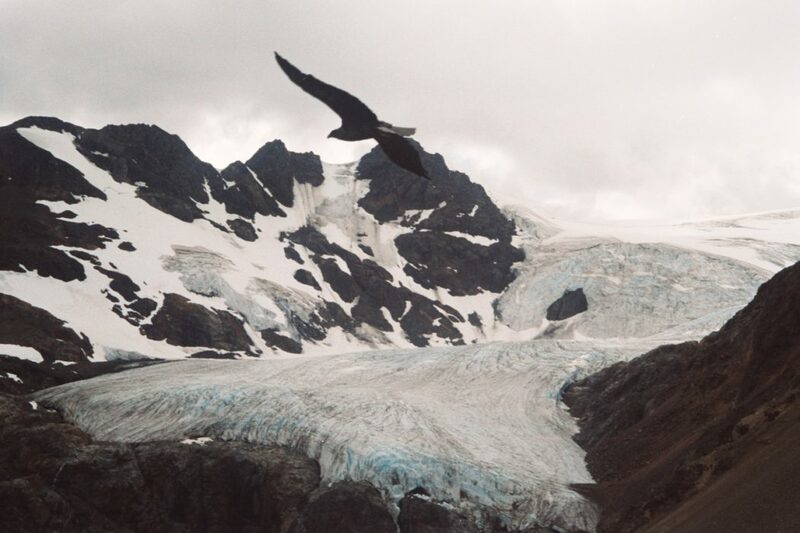 Yet it is doubtful that the acquisition of vast and strategic areas of Patagonia by foreigners – notwithstanding their declared and respected eco-credentials – will in itself, guarantee any better future for those who live there or even those who may wish to do so. 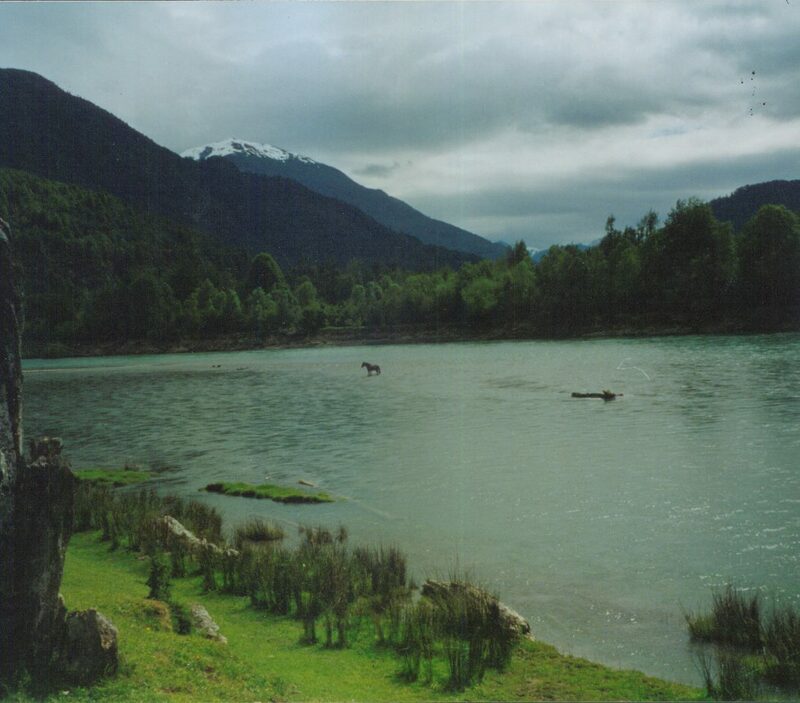 Similarly, the proposals for harnessing the immense hydro-electric potential of Aysen’s principal rivers (the rights to which have also been acquired by foreign companies), are unlikely to bring any meaningful benefit to those who settled the land and their descendants, other than in temporary or short-term employment. The future of a unique pristine natural environment is under an enormous threat, and the lack of local voting numbers leaves their objection inaudible, unless others raise the volume. All photographs are copyright to Jon Burrough. Jon – a retired solicitor – first visited South America 50 years ago, when he travelled extensively for over three years, promoting the philosophy and practice of ‘appropriate technology’. He then married Angela from Peru and has returned many times since. 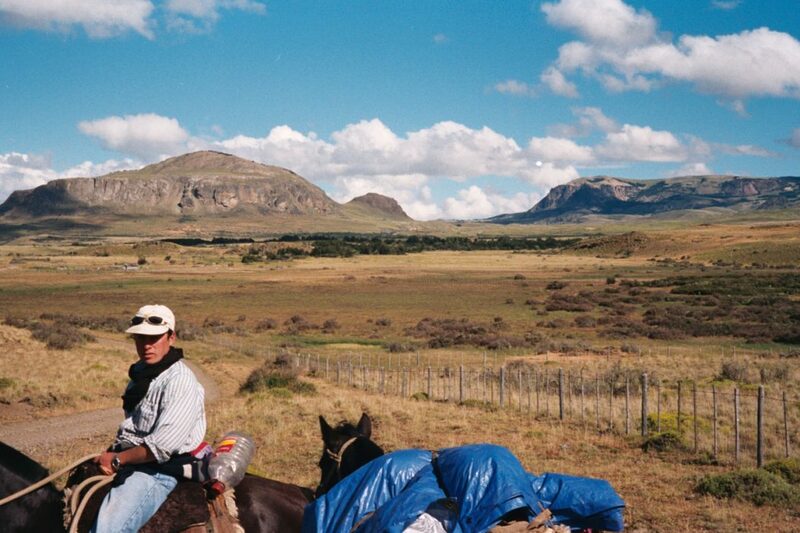 In 2003/4, Jon realised an ambition to ride the Patagonian frontier between Chile and Argentina. 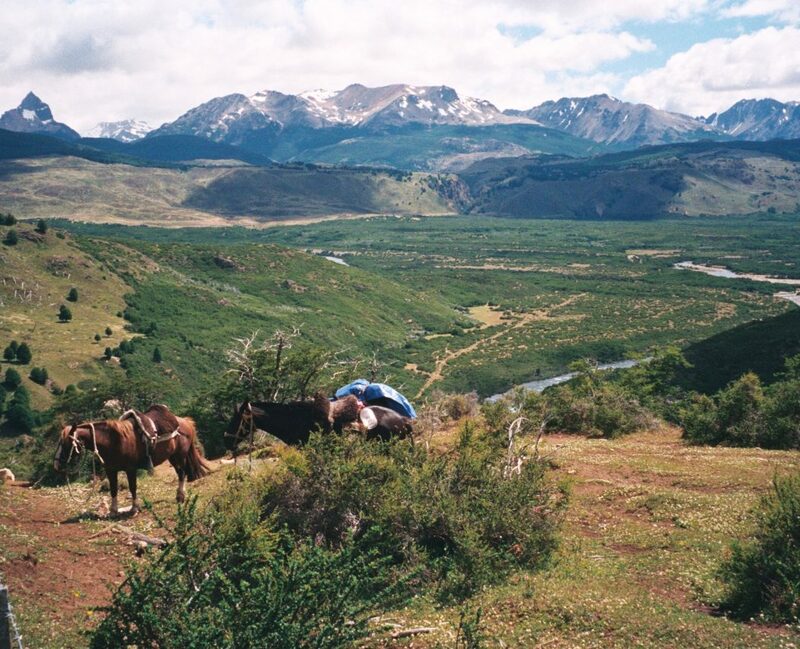 Dark Horses at the Patagonian Frontier: Riding the Pioneer Trail (Signal Books) weaves an account of his journey round tales of the extraordinary lives of some of the pioneers he met. He is currently writing a sequel, Patagonian Odyssey: A Tale of Frontiers Won and Lost, and has recently returned from a sixth visit collecting material.